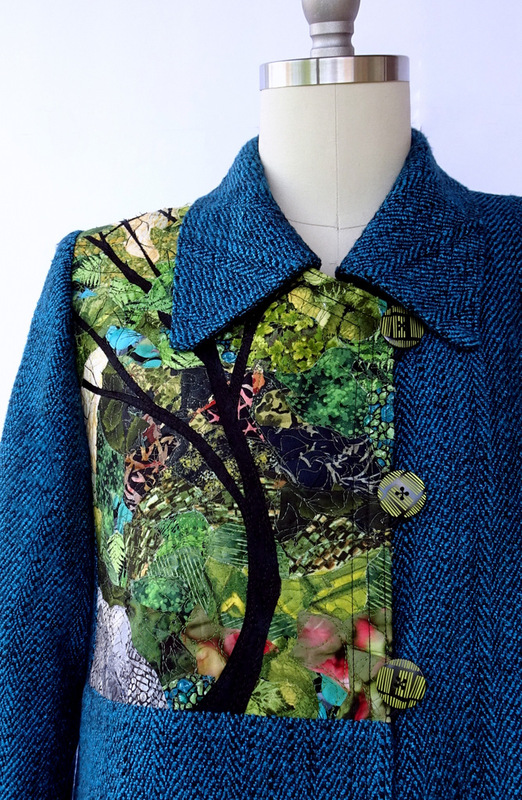 Murray is an art quilter who has mastered fabric collage and machine piecing. She uses cotton fabrics to create an image and enhances it with free form rayon thread drawing. CLICK HERE to see more of Murray's art quilting.